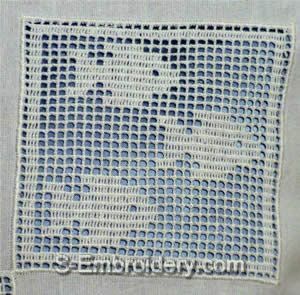 The set of 5 freestanding lace crochet squares is designed to be used in combination with fabric. 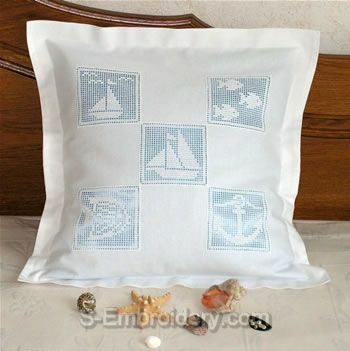 It will make a perfect decoration for pillow case, table cloth, curtains, etc. 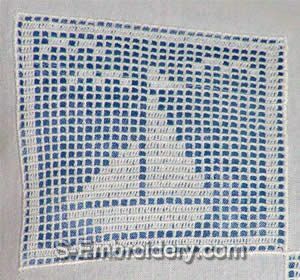 Instructions on a similar crochet machine embroidery project are available in our Machine embroidery tutorials section. 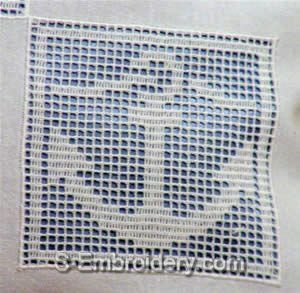 A FREE sample of the crochet freestanding lace embroidery designs we are offering is available on our Free embroidery designs page. 2. 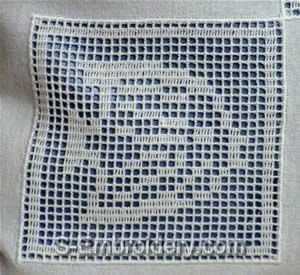 The crochet squares from this set will NOT fit in 4x4 hoops. 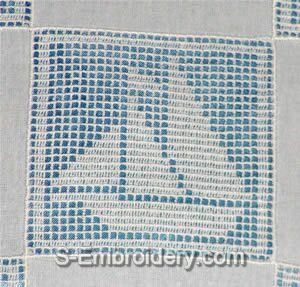 Our delivery includes information file in PDF format and 5 machine embroidery files.